Various spinal and rib cage parameters measured from complex examinations were found to be correlated with preoperative pulmonary function tests (PFT). The aim was to investigate the relationship between preoperative rib cage parameters and PFT using biplanar stereoradiography in patients with severe adolescent idiopathic scoliosis. 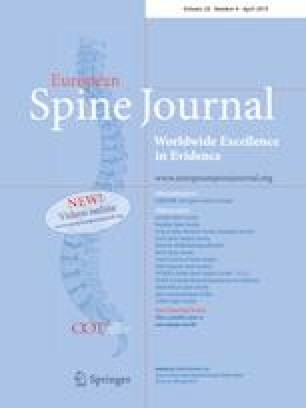 Fifty-four patients, 45 girls and nine boys, aged 13.8 ± 1.2 years, with Lenke 1 or 2 thoracic scoliosis (> 50°) requiring surgical correction were prospectively included. All patients underwent preoperative PFT and low-dose biplanar X-rays. The following data were collected: forced vital capacity (FVC), forced expiratory volume in 1 s (FEV1), FEV1/FVC ratio, residual volume, slow vital capacity (SVC), total lung capacity (TLC), rib cage volume (RCV), maximum rib hump, maximum width, mean thoracic index, spinal penetration index, apical vertebral rotation, main curve Cobb angle (MCCA), T4–T12 kyphosis. The primary outcome was the relationship between rib cage parameters and PFT. The secondary outcome was the relationship between rib cage parameters and spine parameters. Data were analyzed using Spearman’s rank test. A multivariable regression analysis was performed to compare PFTs and structural parameters. Significance was set at α = 0.05. The mean MCCA was 68.7° ± 16.7°. RCV was highly correlated with all pulmonary capacities: TLC (r = 0.76, p < 0.0001), SVC (r = 0.78, p < 0.0001) and FVC (r = 0.77, p < 0.0001). RCV had a low correlation with FEV1/FVC (r = − 0.34, p = 0.014). SPI was not correlated with any pulmonary parameters. Rib cage volume measured by biplanar stereoradiography may represent a prediction tool for PFTs. Non-randomized cross-sectional study among consecutive patients, Level 2. The online version of this article ( https://doi.org/10.1007/s00586-019-05940-3) contains supplementary material, which is available to authorized users.